Essential oils have long been a staple in my beauty and home routine. Once I discovered how useful and delightful they are, I have used them for many purposes. Essential oils can be used in a myriad of fun and useful ways. There are some things that you must remember and be careful of, if you are going to use essential oils. As the pure, distilled essence of plants, essential oils are very powerful. Very few of them are safe to apply directly to the skin, it is best to always mix them in very small quantities with a carrier oil like jojoba or coconut oil or into a lotion, a few drops into a bath or mister bottle. Do not get essential oils into your eyes or let them come in contact with your mucus membranes. If you do, flush with lots of water and get medical attention, at once. Don't apply essential oils to infants or toddlers or adults who are not verbal and can't tell you if the preparation you are applying is irritating to their skin. Do not apply essential oils to yourself or anyone who may have a medical condition or a skin condition where use may be contraindicated or who may have or does have an allergy to that plant. Do not apply essential oils to numb, inflamed, irritated skin or to rashes or other outbreaks, with the exception of the use of Tea Tree oil for the treatment of acne. Essential oils are not for use in food or drink and should not be ingested. Essential oils are for external use, only. Okay, now that the practicalities are out of the way, let's have a little fun. After a long, hard day on your feet, try mixing a drop or two of peppermint essential oil in a generous dollop of rich, unscented cream or body butter and massage your tired feet and legs. Peppermint essential oil can also be mixed into unscented shampoo, conditioner, body wash for a refreshing, wake-me-up shower on Summer mornings or after a hot, sweaty workout. Add a few drops at a time, shake well and test. It's easy to over do essential oils. Remember... You can always add a little more, once you have too much, you can't take it out! Make your own custom cuticle oil by pouring a little of your favorite carrier oil or a blend of your favorite oils into a small bottle and add a couple of drops of an essential oil or blend of scents that you love. Just go easy! Just a couple of drops is plenty. I made a lavender cuticle oil, thought it needed more essential oil, it strengthened as it sat and I ended up with a potion that burned my skin. Lesson learned. Less is more. I like to oil my hair after I wash it, I also like to fragrance my hair. I will often mix a few drops of jojoba oil and a drop of essential oil together and run it through my freshly washed hair, concentrating it on my length and ends. The oil seals in moisture and softens and conditions and the essential oil provides a lovely, soft scent. Sink into a beautifying and relaxing bath at the end of a long, stressful day: Mix into your tub a cup of dry milk powder, a few drops of your favorite lightweight oil and a few drops of lavender essential oil. Soak away, step out, (careful not to slip!) pat ever so gently dry and enjoy feeling pampered, soothed and ever so soft. Essential oils can be added to carrier oils and used to give a loved one a relaxing massage. Try a drop or two of lavender and chamomile. Or rose and lavender. Sandalwood, myrrh, patchouli are lovely, sensual scents that are a bit more unisex. Do you like to freshen up your home but don't like to use chemical sprays and plug ins? Try mixing a little essential oil of your choice into a mister bottle of purified water and spritz in the air. You can lightly spray upholstery and curtains, pet beds (shoo the pet out until it dries) area rugs and broadloom. Don't spray directly on finished or polished wood surfaces. Make a lovely and affordable linen spray by mixing in a fine mist bottle a little purified water, a little alcohol and a few drops of lavender essential oil. Lightly mist your bed linens a few minutes before bedtime. Essential oils can be added, a drop or two to home made or pre made clay masks for a rejuvenating facial treatment. Add essential oils to home made candles and soaps. Put a few drops of essential oil into a ring diffuser and set it on a light bulb. The heat from the bulb will scent your room. I cold go on and on but this is getting long, already. I hope that I have inspired you to try essential oils or to branch out and use them in more ways in your beauty and home routines. Are you a fan of essential oils? What are some of your favorites and how do you like to use them? They sound nice. I haven't tried much essential oils myself but I think there useful. I love essential oils, I am waiting on my oil diffuser I ordered from amazon :) Thanks for sharing these with us ! I'm also waiting for an oil diffuser to arrive, and I have some coconut essential oil that I bought at the annual craft fair. Can hardly wait to use them together! I love oil in a diffuser best. Peppermint is my fave for how useful it is! I looooove lavender! What a great tip for a bath, with the powder milk. Does it matter what powder milk, like, just the stuff at the grocery store? 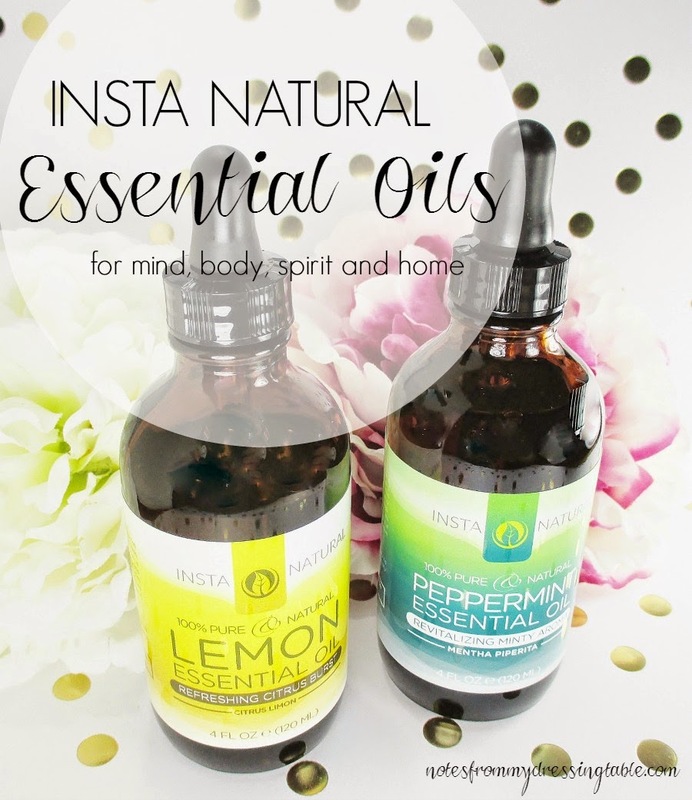 Thanks for the great post, I'm a total novice with essential oils but I really want to start using them! I love using them in the bath! So soothing! I've never really tried essential oils! 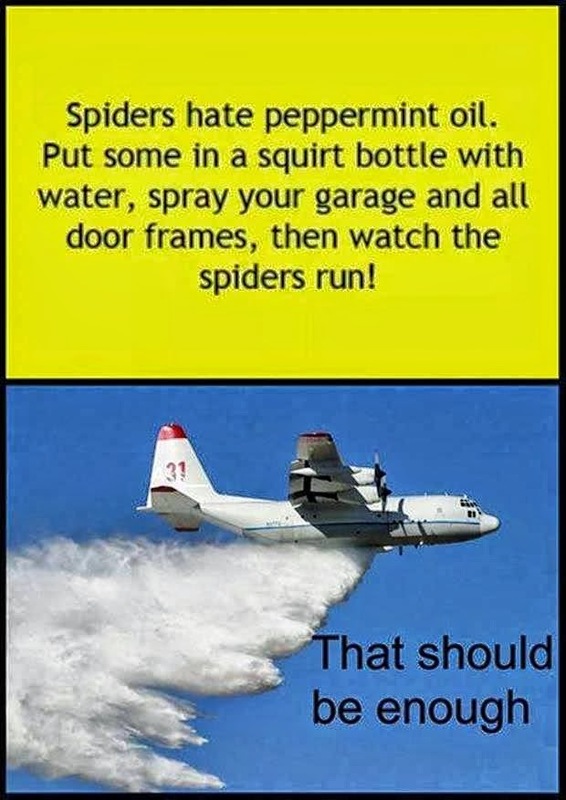 Great tips but my favorite has to be the one to get rid of spiders. We always have Peppermint Essential oil with us! Great tips! I love the stuff. I have a bottle in my office and I can smell it out here in my living room. They are wonderful together. Try them in your hair. I've been using them for years, I don't know what I did, before them. My favourite is lavender essential oil. I didn't know that about spiders! Gotta try it out! Love essential oils! I especially use them in my bath since it is my me-time.